Click here for the List to appear! Phathiswa Magopeni is a journalist and academic who currently serves as the Group Executive of News and Current Affairs at the South African Public Broadcasting Corpoation (SABC). She is a well-rounded management professional with more than 20 years’ experience in the news sector. 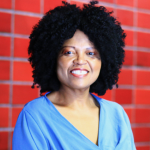 She began her career as a lecturer at the University of the Western in 1995 and joined the University of Cape Town’s Southern African Languages and Literatures department in 1997. Her journalism career began as an SABC freelancer in Cape Town. She was as part of the production team of the public broadcaster’s regional programme, Cape-at-Six. She later joined etv as a writer and presenter for isiXhosa news bulletins. From there moved to produce the channel’s breakfast show, Morning News Edition. In 2005 she rejoined SABC news as a bulletin writer but left for eNCA in 2008, a month before its launch as South Africa’s first 24-hour news channel. At eNCA she started out as a senior desk producer and later became an output editor. In 2010 she was appointed as etv’s prime time news editor responsible for the English flagship free-to-air news service. In 2013 she became eNCA’s Head of Terrestrial News Services responsible for all news content on terrestrial channels including launching an IsiZulu news bulletin on OpenView. In 2017 this role got expanded with added responsibility as Business and Economics Editor. She left the channel in February 2018, to lead the news division at SABC. 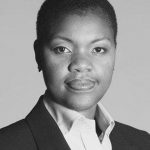 Magopeni has an Honours degree, a Master of Philosophy in Education (University of the Western Cape), an Integrated Marketing Communications Diploma (AAA School of Advertising) and a Master of Business Administration (Gordon Institute of Business Science, University of Pretoria). Currently she is reading for her PhD in Business Administration at GIBS. 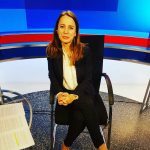 Her business training and extensive experience in the field of journalism have provided her with a solid understanding of strategic, technological and operational demands of today’s rapidly changing news environment. She is passionate about education and research. As part of her academic engagements, Magopeni delivers master classes on reporting financial and economic issues, with a specific focus on what it means to be ‘universally-equipped’ journalist in the age of technology and shrinking newsrooms, at the Tshwane University of Technology’s Journalism Department. She is a Duke University Menell fellow and an African Leadership Initiative/Bloomberg Media Initiative Africa fellow. Lebo is the CEO of Soul City and a fierce fighter for women’s and children’s rights, who is leading the process of transforming of one of Africa’s leading women’s and children’s NGO’s. Her inimical style, compassion and forthrightness has established her as a highly respected thought leader and woman of action. With a penchant for clear language and uncluttered ideas, Lebo is a sought after public speaker across the world, including a high-level panel at the UN recently. Lebo also personally hosts one of Soul City’s flagship radio programmes. targeted at young women. In addition to the outreach and advocacy programmes, she draws inspiration from the power of storytelling, and believes there are many ways for Soul City to address sensitive topics. Her first priority is to ensure that women on the ground have the opportunity to tell their own story in their own words. Lebo’s meriotic rise to the top position came after she graduated with a Master in Public Administration at the prestigious Harvard University John F. Kennedy School of Government (HKS)in 2010. She was concurrently enrolled in the Edward S. Mason programme which is drawn from top tier candidate students from developmental states. Lebo achieved this as a single mother of a young son and daughter, who accompanied her to Boston. Lebo says she could not have completed her programme without the help of her daughter, and observes that it is still far harder for a female professional — especially single mothers — to succeed in what remains a predominately men’s world. Acknowledging the role of her own parents in her life (her father was a taxi company owner), they sadly did not live to see her graduate. While at Harvard, Lebo enrolled in and then served as the Teaching Assistant (TA) for one of the Kennedy School’s most famous classes, Leadership on the Line led by Professor Dean Williams. This life-changing experience in adaptive leadership and change was brought to bear when, under Lebo’s leadership, the Soul City Institute was relaunched as a Social Justice organisation in 2016 focusing on young women and girls and the communities they live in. She has used her policy skills to contextualise this within South Africa’s fluid socio-economic and political environment, which means that the organisation is destined to play an even bigger role in the life of the nation. Lebo acknowledges that South Africa enjoys one of the world’s most progressive Constitution’s and an impressive array of equality laws. However, she is quick to point out there is a wide chasm between our codified human rights and the daily reality for millions of women on the ground. SA remains a deeply divided society with entrenched patriarchal attitudes; one in which women, especially black women, are still oppressed. They face a triple lock of race, gender and class discrimination. Lebo is determined to help shatter every hard glass ceiling that holds back girls and women in South Africa in this generation. Simply put, Lebo believes in action now, not hope deferred until tomorrow. Betsy Klein is a reporter covering the first family, the White House, and Capitol Hill for CNN. She was a 2016 campaign embed, covering every Republican and Democratic presidential candidate across Iowa through the caucuses, and then tracking the presidential campaign of Sen. Ted Cruz and later, the vice-presidential campaign of Sen. Tim Kaine. 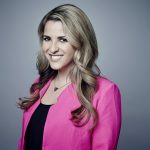 Klein first joined CNN’s political team in August 2014 as an assignment editor in the Washington bureau, and she’s also covered the gun control debate, the Black Lives Matter movement, and other breaking news while at CNN. She previously wore many hats at ABC News’ Washington bureau, where she worked for all platforms and won an Emmy as part of the Good Morning America team. A North Carolina native, Klein is a proud Duke University alumna. career defending the rights of marginalized groups in South Africa,especially people living with HIV and AIDS. She was the lawyer for the Treatment Action Campaign in many of its cases, at the AIDS Law Project. Previously, she clerked at the South African Constitutional Court with Justice O’Regan, and served as a Special Adviser in the Health and Public Enterprises Ministries under Minister Hogan. She convened the JCSMF(monitored SA’s ARV roll out) and the Western Cape Civil Society Task Team against Xenophobia, during the 2008 pogroms in SA. She is a co-founder of Ndifuna Ukwazi and has also served on the boards of Ndifuna Ukwazi (Dare to Know); the Raith Foundation; Médecins Sans Frontières / Doctors Without Borders (SA); the International Treatment Preparedness Coalition (ITPC); and the Council for Medical Schemes. She is the recipient of several fellowships and awards, most recently the Tom and Andi Bernstein Distinguished Human Rights Fellowship at Yale University. She holds a BA and LLB from the University of the Witwatersrand and an LLM from Duke University. Dayo Olopade leads content partnerships for Africa at YouTube, working with broadcasters, production companies, record labels, traditional publishers and independent media across the continent as an active supporter of Google’s Next Billion Users initiative. She began her career as a reporter in Washington covering politics, policy, and the Obama administration. She spent two years in Nairobi as a New America Foundation fellow, reporting The Bright Continent, a book on innovation, technology and opportunity in Africa published in 2014 and adapted for film in 2016. 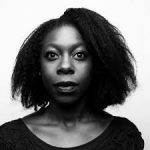 While completing a JD/MBA at Yale, Dayo worked with startups and at Reuters, and helped build and grow the pathbreaking “NYT Now” mobile app at the New York Times. As a partnerships manager at Facebook, she led high touch business strategy and innovation practice with US media brands, and products like Facebook Live, Instant Articles, and 360 Video. She managed international growth programs, including engagement for Mark Zuckerberg’s first trip to the African continent. She is a member of the African Leadership Network and an advisor to growth stage businesses. She has been a cord-cutter since 2009, and lives in London. Mohamed is a digital media practitioner, entrepreneur and strategist. As the Head of Online at Al Jazeera English he led the team that produced the award winning coverage of the Arab revolutions in 2011. Previously, he started Al Jazeera’s New Media department, and served as an advisor to the Director-General. In 2005 Mohamed founded QatarLiving.com (acquired in 2012), a listings and community website that quickly grew to be the largest site in Qatar. He also co-founded Signalnoi.se, a social analytics platform for newsrooms that won the Knight News Challenge, and he’s been an active angel investor in a variety of digital start-ups. With a career spanning 18 years, I have honed my skills as a broadcast and print journalist for Africa’s biggest news platforms including the SABC, South Africa’s public broadcaster; News24, an online publication and the BBC. My career has progressed upwards, currently working as Political Editor for News24, after being appointed deputy political editor for the SABC. After obtaining a national Diploma from Peninsula Technikon (now Cape University of Technology), I have worked as a producer, general news reporter, senior health reporter and worked across the African continent covering major historical events with a stint as a correspondent for the SABC based in the Democratic Republic of Congo and Kenya. I furthered my studies with a B-Tech qualification from Tshwane University of Technology. With a passion to champion South Africa’s hard-won Media Freedom and ensuring that quality and ethical journalism thrives, I joined the South African National Editor’s Forum and currently serve as its chairperson, elected in 2016. Adam Oxford is a freelance journalist currently based in Johannesburg. Most of his work has been related to technology in some way, covering everything from the early PlayStation games scene to IT in international development and most things in between. 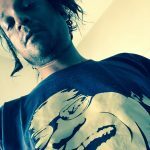 His work has appeared in The Guardian, The Sunday Times, Wired, Stuff, Digital Photographer, Computer Arts, Green Futures and The Ecologist, as well as Linux Format, ZDNet and many more. His most recent ‘real job’ was the launch of a media startup in South Africa, and these days he’s fascinated by the impact of digital tools on storytelling and is an evangelist for data-driven journalism. To this end, Adam is a Code for Africa StoryLab Fellow and one of the coordinators of Hacks/Hackers Johannesburg. Adam is also a representative for The Hague Institute for Innovation of Law. 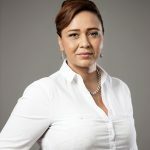 Iman Rappetti is an award-winning journalist who has worked across print and radio, she currently hosts PowerTalk weekdays between 09:00 and 12:00 on Talk radio station Power 98.7. She is former senior news anchor on Enca’s News Night. Iman counts among her career highlights, interviews and encounters with former South African President Thabo Mbeki, President Jacob Zuma, and queen of talk Oprah Winfrey. 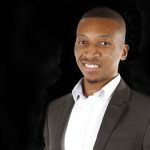 Siyabonga has always been interested in the future of media and communication technologies. He had the privilege of studying at the University of Pretoria and Stellenbosch University where he majored in International Relations and Journalism respectively. After graduating Siyabonga spent time in print and online publishing working for Sowetan and then ITWeb. He received a fellowship from the International Ford Foundation Programme and Indiana University to study new media at IU’s Department of Telecommunications. 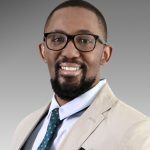 Upon returning to South Africa Siyabonga spent time in the digital agency space before returning to journalism and working for Media24, the School of Data and SABC Digital News. 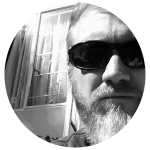 He currently is the program officer of the South Africa Media Innovation Program and a longstanding member of the Johannesburg chapter of Hacks/Hackers. Cynthia (Cindy) Harvey is the Spokesperson/Information Officer at the U.S. Embassy in Pretoria and is currently serving as the acting Public Affairs Officer. She has served in Pretoria for 2.5 years. 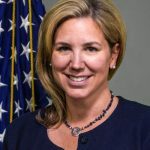 Prior to this, she has completed assignments in various roles as a Foreign Service Officer with the Department of State, including Spokesperson at U.S. Embassy Islamabad, Senior Watch Officer in the Department’s 24-hour Operations Center, Special Assistant for the U.S. Under Secretary for Public Diplomacy and Public Affairs, and Cultural Affairs Officer in Jerusalem and Amman, Jordan. She has a Master of Arts in Law and Diplomacy from the Fletcher School of Law and Diplomacy and a Bachelor of Arts in International Relations from the University of Pennsylvania. Cindy is originally from Longmont, Colorado. Niren Tolsi is an award-winning journalist and the current Ruth First Journalism Fellow and the Heinrich Böll Foundation Journalism Fellow. His areas of journalistic interest include citizen mobilisation and protest and the state’s (often violent) response to these, land and mining, the politics of urban spaces, Constitutional law, social justice, popular and jazz music, sporting mega-events, Test cricket, football and satire. Tolsi is one of the founding editors of the anti-media long-form and literary magazine, The Con. He has been published in various local and international media including the Mail & Guardian, The Sunday Times, City Press, Al Jazeera, The Guardian, Reportagen, The New Internationalist, The Cricket Monthly and Rolling Stone magazine. Together with photographer Paul Botes, Tolsi has spent the last five years investigating and documenting the aftermath of the Marikana massacre with special focus on all the families of the 44 people who were killed during the week-long strike in 2012. Parts of the project have been published in media like the Mail & Guardian and used by Amnesty International for their global campaign to change how mining companies operate in the developing world. This multi-form project is scheduled for completion in 2018. Tolsi is currently exploring the transmission of investigative journalism into alternate platforms, including art galleries and virtual reality experiences. 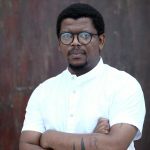 In this regard he previously co-curated The Con(struction) Cartel multi-media exhibition in collaboration with the Goethe Institute and the Durban Centre of Photography and is currently working on a virtual reality “living” memorial of the Marikana massacre. He is making a documentary film about South African jazz and politics. Tolsi believes contemporary journalism is in need of a defibrillator. Patrick Conroy, CEO of Brandscribes (Pty) Ltd, a Marketing and Brand Strategy company. Previously Patrick was the Managing Director of eNCA and OpenView HD. 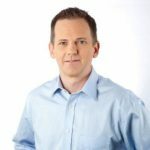 Patrick consultants to Cell C, Duke CE, and provides media training and strategy to various other companies. He has over 20 years’ experience in broadcasting, having launched and run the 24 hour news service eNCA and its digital wing, eNCA.com. 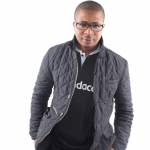 Previously he worked for Talk Radio 702 and leading advertising agency, The Jupiter Drawing Room. Patrick is the author of Everest Untold (non-fiction published by Jacana Media 2016). He is also a public speaker and media trainer on topics such as Reputation Management, The Art of Story Telling and Content Marketing. 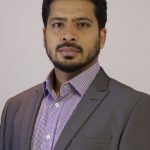 He is a faculty member of Duke Corporate Education and completed Digital Marketing through the Emeritus Institute and Columbia Business School (2017). He is a Duke University Menell fellow. 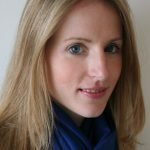 Lynsey Chutel is a journalist for Quartz Africa, based in Johannesburg. She covers African culture, business, political economy and how technology and innovation are changing the continent. Launched three years ago, Quartz Africa is the regional vertical of Quartz, a digitally native news outlet for business people in the digital economy. Bulut was born in Izmir, Turkey and completed his BSc. in Mechanical Engineering at Istanbul Technical University and Ecole Centrale de Paris, which is followed by a MSc. in Management Engineering at Politecnico di Milano in Italy. He has since worked on many multinational tech companies mainly in Marketing division such as Vodafone Italy and Bosch Turkey. During and after his graduation he has also led many design projects for major companies such as designing an innovation project for Renault in Paris. He also is an activist for LGBTQ+ rights and lead several initiatives to increase awareness of LGBTQ+ community in London. 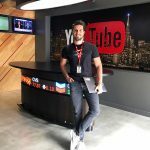 He currently works at Google as YouTube Partner Operations Manager based in London, UK. 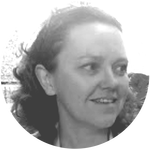 Lailah Ryklief works in curriculum design and development and provides training and mentoring through OpenUp’s Data Literacy Programme, TrainUp. 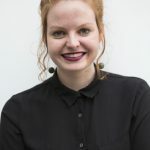 Lailah was also a part of OpenUp’s Data Journalism Academy (previously Code for South Africa) where she previously held the title of Newsroom Developer, working alongside journalists from South Africa’s leading newsrooms in an experimental project that sought to introduce and integrate data-driven storytelling into daily newsroom workflows. 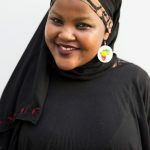 With a background in interactive media development, digital storytelling, film, and research, Lailah has worked at the cross-section between academics and education, working with GetSmarter/University of Cape Town on content development for media and web oriented online curriculum. Hooman is the UK Government’s senior communicator for Africa. He is responsible for overseeing the work of and supporting the network of public diplomacy and media officers in UK Embassies and High Commissions in Africa. Hooman has held this role for the last five years, with his term drawing to a close this coming August. He will return to London then taking-up another Diplomatic position. Hooman has worked on many high-profile subjects during his time in Africa, including: helping to co-ordinate the UK’s public position and messaging during recent political changes in Zimbabwe, which led to the resignation of former President, Robert Mugabe; working out of the British High Commission Nairobi to lead the UK’s communications team in the last two Presidential elections, which saw President Kenyatta elected, at the second attempt; and running the media element of the visit of Prince Harry to South Africa in 2013, where Hooman took one for the team by being bitten by “Killer”, the famous Kruger National Park anti-poaching dog. During his diplomatic career, Hooman has worked on a number of fascinating portfolios: tackling crime and corruption on a posting to Nigeria; representing the UK at G8 and G20 meetings; and working at the UK Mission to the United Nations in New York, negotiating on trade and development issues. Hooman says it is an absolute privilege to be in a position to travel around the world, meet many diverse and interesting people and be in a position to represent the UK internationally, particularly in such a challenging and fast-paced global environment. Sandra Bisin joined UNICEF South Africa on 15 June 2016, leading the Communication and Corporate Fundraising section. A communication specialist with over 15 years’ experience in the field, she started her journey with UNICEF at the French National Committee in 2004, followed by assignments with UNICEF country offices in South and East Asia, West and East Africa. She started her career as a free-lance journalist in 2001, joining the creative team of a brand agency in Paris in 2003. A French national, Sandra holds an MA in Journalism from La Sorbonne University, Paris. Dianne Hawker is the current Head of News at Power 98.7. She has worked in news media for 14 years, starting as an intern at The Cape Argus newspaper in Cape Town. She has worked across the fields of print, television, online and now radio journalism making her a consummate news professional. After leaving the Cape Argus, where she cut her teeth as a High Court and legal reporter, Dianne went on to join eNCA’s Cape Town office where she focused on human interest stories and covered Parliament extensively. During this time Dianne was a finalist in the 2009 Vodacom Journalist of the Year Editor’s Choice Award and later won the 2011 Western Cape VJOY award for her coverage of sanitation protests in Cape Town ahead of the 2010 Fifa World Cup. In 2010, she moved to The Sunday Independent where she returned to legal reporting and conducted a number of investigations, particularly looking at extensive allegations of corruption in the North West province. Dianne returned to eNCA a few years later where she joined the online newsroom as senior reporter where her focus was in-depth multimedia reporting that would tie into the news channel’s broadcasts. During this time, she reported extensively on the Aurora mine scandal and the subsequent fall-out. She was also part of the eNCA team which covered the Oscar Pistorius trial, filing stories both for online and television. Dianne was part of a team that won a regional award in the 2014 Vodacom Journalist of the Year Awards for an online diary of a Xhosa choir which traveled from Johannesburg to the Qunu for Nelson Mandela’s funeral. In 2016, Dianne left eNCA.com to take up a position as News Editor at The Times newspaper. During this time, she oversaw the creation of a converged newsroom in which journalists began filing across platforms and titles. She was also tasked with the day-to-day management of The Times and Timeslive newsroom. 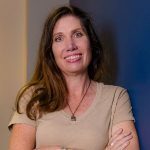 Dianne joined Power 98.7 in January 2018 and is building a radio newsroom to rival the competition. Raymond Joseph began his career in journalism in 1974 as a cadet reporter at the Rand Daily Mail. Over the years he has worked at mainstream daily and weekly newspapers, as well as for community and tabloids newspapers and at magazines, in senior editorial positions. He is a former editor of The Big Issue South Africa, which he helped launch in 1996, and served on its board for 20 years. 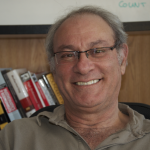 He is a former ICFJ/Knight International Journalism Fellow and is a member of the Cape Peninsula University of Technology Journalism Department’s Advisory Committee. Over the decades, beginning in the early 70s in the era of hot metal and then making the transition to cold type, he has witnessed many changes in journalism. To stay relevant in the ever-changing media industry, he has sought to regularly reinvent himself, including making the transition to social media journalism and multimedia and data-driven storytelling. 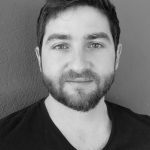 A former head of Code for South Africa’s (now OpenUp) media programme and its Data Journalism Academy , he now works as a freelance journalist, journalism trainer and media consultant, having returned to a freelance life early in 2017. He has done extensive journalism training in South Africa, southern Africa and other parts of Africa. 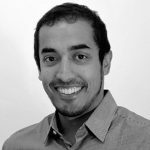 He works across platforms, including on data-driven stories, and on data-driven investigative journalism projects. His most recent data-driven investigative project, which is ongoing, was as head of the South African leg of Gaming the Lottery, a transnational investigation into lotteries around the world. He specialises in training journalists and newsrooms in fact-checking and the verification of online and social media content, and also in the use of social media, especially Twitter and Facebook, as journalism tools. He is also an assessor for the Poynter Institute-based International Fact-Checking Network. Gill Gifford is an award-winning journalist and Health-e’s News Editor. She has spent most of her career in print media, having worked at The Star both as a crime reporter and then on the news desk. She has also worked at community newspapers, Horizon Stereo, the SABC and eNCA where she spent several months covering the Oscar Pistorius trial. Gill spent some time in the public relations field when she served as the news editor for Meropa in Sandton before moving back into journalism and joining Health-e News. Gill was awarded the Clive Menell Fellowship and attended Duke University in 2003. In 2004 she won the Feature Writing category at the Mondi Newspaper Awards and later that year was named the MK Abiola Print Journalism Award wnner at the CNN African Journalist of the Year awards. She has also received a highly commended accolade in the Mondi Shanduka Newspaper Awards in the Breaking News category for her coverage of the Leigh Matthews murder trial for The Star. Gill has studied journalism at the Wits University school of journalism. She is passionate about ensuring South Africa’s health story is told well through the eyes of Health-e’s citizen journalists and writers. Masutane Modjadji is the OurHealth Project Manager responsible for Health-e-News’ team of citizen journalists. After completing her undergraduate journalism studies at Cape Peninsula University of Technology she went on to towards Honours degree in the same field at University of Witwatersrand. She is currently studying towards a Masters’ Degree at the University of Johannesburg. 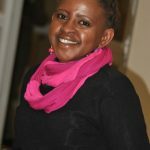 Masutane has worked as a journalist at the SABC, Phalaborwa Community Radio and ANN7 TV, and as a media relations officer at Council for the Advancement of the South African Constitution (CASAC). 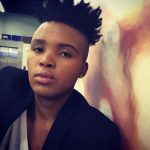 In her spare time, Masutane loves blogging and writing poetry. Simon Allison is the Africa Editor for the Mail & Guardian. He is also a research consultant for the Institute for Security Studies, and was previously senior Africa Correspondent for the Daily Maverick. He specializes in African news and analysis, and has reported from across the continent. He is also a regular contributor to the Guardian He holds degrees from Rhodes University and the School of Oriental and African Studies, and has lived and worked across Africa and the Middle East. Duduetsang is an avid digital media lover and lifelong scholar who is fascinated by the dynamic media space. Duduetsang had her formal training in television journalism at the University currently known as Rhodes, where she graduated with a Bachelor of Journalism degree and later a Post graduate Diploma in Media Management. She has had various experiences in the independent broadcast media production sector and in corporate communications. She completed her MBA in Media Management in 2015, at Cardiff University in the UK. Her activist discontents include socio-economic and gender based inequality and sexual violence while her intellectual interests lie in media strategy, policy and development in the convergent, digital era, especially in the African context. She joined SOS as a Project Coordinator and is currently the National Coordinator. Mia Malan founded Bhekisisa in 2013 and is also the Mail & Guardian‘s health editor. Prior to starting up the centre, she was a Knight Health Journalism Fellow in South Africa. Under her leadership, Bhekisisa expanded from three to close to 20 permanent and freelance staff members within four years. She began her journalism career at the South African Broadcasting Corporation, where she worked as a radio and television health reporter. As a young journalist in 2000, she was named the CNN African Radio Journalist of the Year for a documentary that detailed a young girl’s journey with Aids and her fierce fight to access HIV medicine. A firm believer in social justice, Malan maintains that “if we can tell the stories of ordinary people and grassroots projects and make those voices become alive through powerful storytelling we will have done our jobs”. Laura Lopez Gonzalez is Bhekisisa’s news editor. 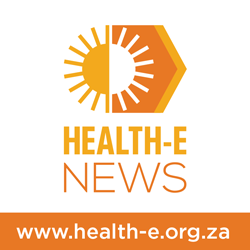 Before joining Bhekisisa in July 2016, Lopez spent three years as the print editor for Health-e News Service. Pilane’s passion for gender justice, youth empowerment and media related issues is evident in the work that she’s been involved in throughout her young life. She was a TEDx Johannesburg 1830 Fellow, one of 20 young South Africans (between the ages of 18 and 30) who were identified as having “ideas worth sharing”. She has been involved in various youth organisations such as Model United Nations. “There is no better time to be a young African woman than right now. We are changing the world and shaping it for the next generation. I feel privileged to be a writer during these momentous times,” she says. Before joining Bhekisisa, Pilane was a news reporter at the Mail & Guardian. She debuted as a journalist at The Daily Vox, where she primarily wrote about gender and race, and how they intersect. She was one of the leading journalists covering the #FeesMustFall student protests in 2015. She holds two degrees in Media Studies from Wits University. DC Bush studied journalism, specialising in television and photography, at Rhodes University. In 2008 they won the SABC Young Journalist of the Year award for a mini-documentary on the food crisis in South Africa. DC Bush is gender queer and is referred to using the gender-neutral pronouns “them” and “they”, as is international practice. Many languages have gender-neutral pronouns that are used to refer to gender queer people. English doesn’t yet have such a term. Roxy de Villiers handles Bhekisisa’s social media, online content and engagement. 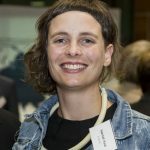 De Villiers has worked in the media since 2014 and made her debut as a crime and investigative journalist at Caxton Newspapers. She was one of the first journalists who covered the #LifeEsidimeni tragedy in 2015. De Villiers has experience in print, online and broadcast journalism and is interested in women’s sexual and reproductive rights. Kim Waddilove is a qualified journalist with a background in journalism and copywriting. 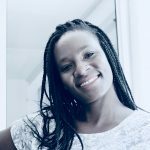 She is currently a science communicator, based at the Africa Health Research Institute (AHRI) in Durban, where she acts as the Communications Officer for the Sub-Saharan African Network for TB/HIV Research Excellence (SANTHE) – a programme aimed at advancing African science and fighting HIV/AIDS and TB. 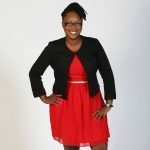 She is responsible for the development and execution of SANTHE’s communication strategy, and works closely with all Principal Investigators in the network partner sites in South Africa, Rwanda, Zambia, Kenya, Uganda and Botswana. Victoria Kasprowicz’s research has focused on the immune system’s response to a range of pathogens, including HCV, a virus that affects the liver. Her current research aims to identify biomarkers for TB, guide the design of novel immune-based TB diagnostics, and better understanding the impact of HIV on the immunological response to TB in patients infected with both pathogens. At Oxford University, Kasprowicz earned her master’s degree in molecular and cellular biochemistry, followed by a PhD in clinical medicine. She worked as a postdoctoral fellow at Harvard University and was subsequently promoted onto the faculty. 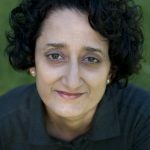 Since 2008 Kasprowicz has been actively engaged in research and education/capacity building efforts in Durban, South Africa where she has worked as Director of Education and Training for the KwaZulu-Natal Research Institute for TB and HIV (K-RITH). Her work has been supported by the Bill and Melinda Gates Foundation, the Doris Duke Charitable Foundation, the Howard Hughes Medical Institute (HHMI), the NIH, the Ragon Institute of MGH, MIT and Harvard, the Harvard University CFAR, and Massachusetts General Hospital. Hannah worked as a general reporter in print and radio for several years before moving into an online role at East Coast Radio, a large commercial radio station in KwaZulu-Natal. She now works as the Communications Manager at Africa Health Research Institute, a multi-disciplinary research institute based in Durban and Somkhele in northern KwaZulu-Natal. 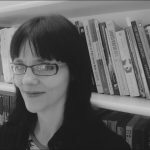 Laura Grant is a data journalist with 20 years of experience in the South African media as a journalist, copy editor and designer. She likes to collect and play with data sets to tease out the stories hidden in them. She combines infographics, interactive maps and a variety of other visual elements with journalistic storytelling to make data accessible and interesting. 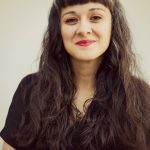 Before joining the Media Hack Collective, Laura was associate editor: digital and data projects at the Mail & Guardian. 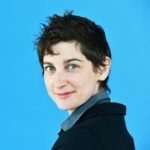 She wrote data-driven stories and produced interactive graphics and maps for both the print and online platforms. She conceptualised, designed and managed the production of the M&G’s iPad edition. She also experimented with and introduced innovative digital storytelling techniques, such as immersive long-form features, to the newsroom. Before that she was the chief sub-editor of the M&G’s print edition. 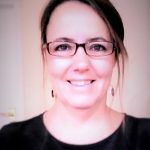 Laura has a BA in journalism and media studies, a BA Hons in psychology and a postgraduate diploma in environmental management and tourism development. 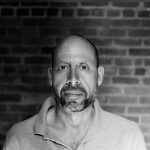 Alastair Otter has more than 20 years of journalism experience spanning both print and digital publications, and has more than 10 years of experience as a developer focused on producing media-related online products. 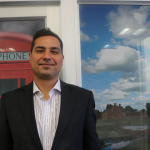 Alastair started his career in print media working for a number of titles, including The Star and Business Report, before moving into digital media. In the early 2000s he launched his own online specialist publication, Tectonic, which covered the emerging world of open source software, and wrote for online technology publications such as ITWeb and MyBroadband. 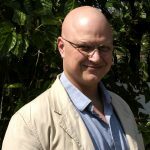 Prior to joining the Media Hack Collective, Alastair was the editor and later head of editorial innovation at Independent Online, one of Africa’s largest online news sites. At Media Hack, Alastair’s specialities are data visualisation and the development of online media products. I am a 27 year old radio station manager for one of the country’s oldest radio stations, Alex FM. Growing up in the remote rural areas of Limpopo made it very difficult for me to access relevant information but that did not stop me from realising my dream of becoming a radio presenter/journalist. In 2010 after completing my grade 12 I came to Jo’burg to pursue my career in media. I studied at Boston Media House and obtained my 3-year Diploma in Media Practices majoring in radio and sound engineering. After joining Alex FM in 2012 as an intern, I was promoted to being a news reader/ field reporter. From then I grew within the ranks from being a producer to presenting, then on to Head of News and Sports and now Station Manager (The youngest in the country I believe). I am a very enthusiastic, committed and hardworking person. I also believe in working with team and I’m of a view that education is very important. The more one reads are the more you can see that you actually know nothing. Leading a team of over 50 people comes with a huge responsibility but I’m up for any challenge. I never limit myself and I believe that nothing is impossible. Indra is a digital media and communications advocate, consultant and researcher with a background in journalism, broadcasting and media management.He leads the Journalism and Media Lab – jamlab – at Tshimologong Digital Innovation Precinct, Johannnesburg which is Africa’s first journalism and media accelerator and innovation lab. He also runs the Network Society internet research project in the Journalism and Media Department at the University of the Witwatersrand, Johannesburg where he teaches television and video journalism, media entrepreneurship and theories of new media. 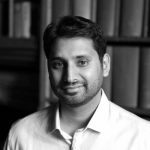 His research includes a study of mobile use amongst low income South Africans, a quantitative study of Internet use in South Africa, a study of technology innovation in civil society organisations in South Africa and Kenya and a study of demand for government open data. Indra has presented at many conferences and presented papers in South Africa and at the Universities of Oxford, Harvard and Lisbon. He has also published in international journals including IDS Bulletin and info. 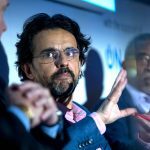 He is a member of the World Internet Project, a global network of researchers on the Internet and Society covering over thirty countries, coordinated by the Annenberg School of Communication at the University of Southern California. He started using the internet in 1979 when he studied artificial intelligence. As a media and communications strategist and consultant with over fifteen years experience he has worked on projects for the BBC, SABC, Unilever, South African Department of Health, Multichoice, Telkom, Tiso Blackstar, Soul City institute for Health and Development Communications and FIFA. He was a policy and strategy consultant to the first CEO of SABC in the post-democratic period. Indra is a highly experienced journalist, television and film producer and media entrepreneur who has worked across the world. He has produced television series and feature films in South Africa, the US and the UK and was a senior producer of the BBC Newsnight and Panorama programmes. His work has been recognised with a Peabody Award, an Emmy nomination and the Japan Prize. Legal Journalist, Senior Specialist, Reporter, Independent for Tiso Blackstar, eNCA, ETV, etc. Karyn Maughan is a newspaper reporter who also does broadcast analysis on high-profile or far-reaching legal matters. I’m passionate about the law and largely cover criminal and civil court cases. I regularly break news on high-profile stories. I have also produced a number of documentaries on topics ranging from the life of Reeva Steenkamp to a profile on notorious Apartheid assassin Joe Mamasela. Micah Reddy is an investigative journalist at the amaBhungane Centre for Investigative Journalism. Previously, he was the national co-ordinator for media freedom and diversity at the Right2Know Campaign. He holds a Masters in African Studies from Oxford University and a BA from Wits, and has worked as a journalist and editor in Egypt, Yemen and other parts of the Middle East. Dr. Michal Rahfaldt is the Executive Director of the Children’s Radio Foundation. 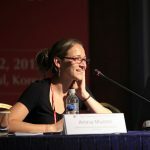 Michal is an anthropologist, radio producer, journalist, trainer, and academic specializing in youth media and education. Originally from the US, he has been living and working in Cape Town for sixteen years. Before joining the Children’s Radio Foundation in 2007, Michal taught journalism, media studies, and social anthropology at the University of Cape Town. He was involved in a wide range of youth radio projects prior to working at CRF, including collaborative productions with prisoners, asylum seekers, primary and high school students, and other children and young adults. As a journalist, he has also contributed to The World, National Public Radio, the BBC World Service, and the New York Times. Michal received his PhD from the University of Michigan in 2007. Kate has been a media freedom activist since 1994. She has worked in the unions, NGOs, government and industry to build a strong, diverse, independent media sector. She sat on the FXI Board for a decade and in 2008 she founded the civil society “Save our SABC” campaign. 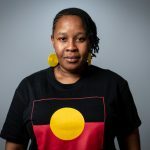 In 2017 she completed her PhD degree focusing on public service broadcasting, media diversity and South Africa’s stop-start migration to digital terrestrial television. In February 2018 Kate was appointed executive director of the South African National Editors Forum (SANEF). Richard Poplak is an award-winning author, journalist, graphic novelist, and filmmaker, and a senior correspondent at South Africa’s Daily Maverick news site. He has spent the last nine years travelling Africa, researching a book that interrogates the idea of a rising Africa, entitled Continental Shift: A Journey Through Africa’s Changing Fortunes (Jonathan Ball, 2016). A Rockefeller Foundation Fellow, Poplak has reported from over 30 countries in the developing world, for international publications such as Atlantic Monthly, Foreign Policy, Guardian, Financial Times, Globe and Mail, and Walrus, while his work has been read on This American Life. He serves a member of the groundbreaking international journalist collective Deca. His next book will be an in-depth exposé of the global mining industry, and will be published by Penguin Random House’s McClelland & Stewart imprint. 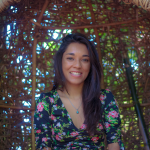 Natasha Joseph is a South African journalist who was born in Durban, grew up in Cape Town, studied in Grahamstown and today considers herself a Joburger. She is the science and technology editor at The Conversation Africa, a website dedicated to sharing academic research from and about Africa with a global non-academic audience. Before joining The Conversation Africa when it launched in April 2015, she worked as news editor of City Press for three years. She has freelanced for a range of publications, including Al Jazeera English, The Atlantic and The Big Issue. After obtaining her Bachelor of Journalism at Rhodes University in 2003, she worked for the Cape Times as a general reporter before joining the Cape Argus as news editor in 2009. 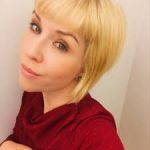 She was also a contributing editor to the Index on Censorship between 2014 and January 2018. Koketso has a long background in civic activism and has over the years worked at the intersection of governance, communication and citizen action. She currently serves as the founding executive director of amandla.mobi, a community of over 205,000 people working to turn every cellphone into a democracy-building tool to ensure that those most affected by injustice- low income Black women in particular- can take collective action on issues affecting our lives. In 2018 she was announced as an inaugural Obama Foundation fellow, after being a 2017 Aspen Institute New Voices fellow. She is also the Deputy Chairperson of the SOS Coalition, a coalition of South African organisations committed to and campaigning for public broadcasting in the public interest. Lukhanyo Calata is an award-winning broadcast journalist currently reporting for the SABC as a Television News Reporter in Parliament. Prior to the SABC, Calata had worked as a writer/director for Oryx Media, a Cape Town based multimedia production company. In 2010 Calata produced his first independent short documentary-film on his personal quest to find closure for his family as they seek justice for the murder of his father Fort Calata of the Cradock Four. The short film serves as a precursor to the Calata Legacy Project, which includes a book – My Father Died for This, published in April 2018, a full-length feature documentary film – State of Emergency as well as a digital archive memory project. Calata’s television journalism career began in 2005 when he was invited to join eNews as a news and sports reporter. In April 2007 Calata spent a month at CNN’s Headquarters in Atlanta Georgia as one of its International Journalism Fellows. Prior to that he had spent 2 years as a radio reporter/anchor at P4 Radio. Calata holds a National Diploma in Journalism from the Peninsula Technikon having qualified in 2003. In June 2017, he became a fellow of the US Foreign Press Center when he was invited on its Foreign Media Tour which addressed media freedom. TO Molefe is an editor, a writer, and Chief Coordinator at Collective Media—a cooperative of media workers. His written work, under the byline TO Molefe, has appeared in publications such as The Johannesburg Review of Books, M&G Friday, The New York Times and World Policy Journal. He is also the author of Black Anger and White Obliviousness (Mampoer Shorts, 2013), and contributed to Queer Africa, an award-winning short story anthology. Prior to that he worked as a chartered accountant, specialising in media and entertainment. 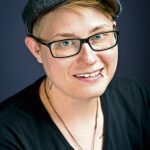 Anina Mumm is a science communication and digital media specialist, and an entrepreneur. She is the Chairperson of SciBraai, a proudly South African NPO dedicated to science journalism, communication and outreach, and she is an active member of the South African Science Journalists’ Association. 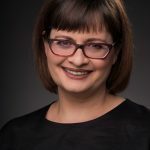 Anina also co-founded ScienceLink, a company that helps scientists connect with the world, particularly through the use of multi-media story-telling and other innovative digital tools. Sindiswa Letsie is a 19 years old female, born in Potchefstroom Ikageng, North West. She is the first child of two children in the family. She started her school in Lesego Public Primary School, she then went to Seiphemelo Secondary School and she matriculated in 2016. She then enrolled at TVET College at Vuselela College Potch Campus for a diploma in mechanical engineering. 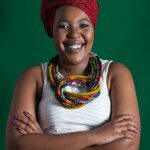 Sindiswa is passionate about radio and television presenting, She started being a member of ‘Ghetto Genius at Aganang FM in 2013 until present time. She has been shortlisted for platinum North West presenter search auditions. Sindiswa is also a creative designer, she creates from old clothes and new materials, and she was a chairperson of a debate team in high school. She aspires to be a successful business woman, a well known creative designer and a very successful radio and TV presenter. Kgamane Mofenyi is a 21 year old man, born and groomed in the deep villages of Limpopo in a rural area called Makurung ga Mphahlele. He is a dedicated individual in the media and broadcasting world. He started his radio journey at Greater Lebowakgomo Community Radio (GL FM 89.8) in September 2013 as a young reporter for the Children’s Radio Foundation, on a youth show named BOOM TALK. During his involvement with the youth program, his team won five awards at the Children’s Radio Foundation 2016 Youth Radio Awards in Cape Town, for different shows they produced. In 2017 he become the youth mentor/facilitator for the some group because of his dedication to the program. While at Greater Lebowakgomo Community Radio (GL FM 89.8) part of his duties include content production, hosting of shows, technical production and production of on-air material. He also received foundational journalistic skills, giving him the ability to conduct interview and ask relevant question. Sibongile Mphalele is a 16 year old young woman, born and raised in Mogodi-Ga-Mphahlele in Limpopo province. She is a Grade 11 student at Mphachue Senior Secondary School doing commercial subjects. She started with radio in October 2016 while she was ding Grade 9, and at that time she was on a journey doing poetry, debate, program directing and Spelling Bee leadership. Sibongile is a young, energetic and confident ’star’, which is one of the reasons why she thinks the Children’s Radio Foundation took her on and placed her at Greater Lebowakgomo FM 89.8. She loves media, as radio has introduced her to the world of communication with society at large. As she finishes her Grade 12, Sibongile intends to further her studies at a tertiary institution to study law or media and communication.